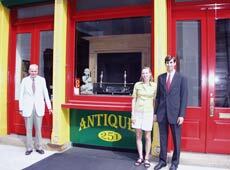 Francis J. Purcell Inc. is a family business of two generations that for the last 40 years has been dealing in fine antiques and period fireplace mantelpieces. 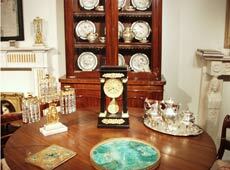 Recently we purchased a 4-story historic building in Olde City Philadelphia and filled it with our collections. 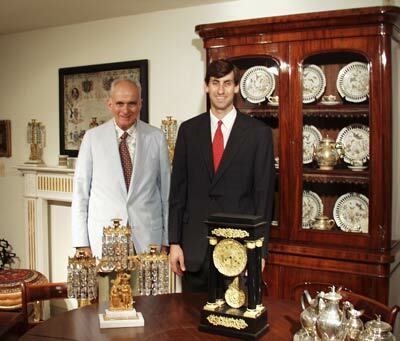 Over the years, we've had the pleasure of supplying fine antiques to the White House in Washington, DC and various Governor's mansions in the Northeast. We have many happy, private clients and we would like to add you to our family. Our collection of 150 fireplace mantels is the largest in the country, and we specialize in American 18th and early 19th century wood examples. 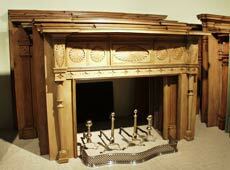 We also have a collection of marble mantels. An appointment at our shop is highly recommended, although we do maintain shop hours as often as possible on Thursday, Friday and Saturday from 10:30 AM to 6:00 PM. Please do give us a call if you plan to visit, and we'd be pleased to provide additional information about any specific items that you may be seeking. Historic Olde City Philadelphia is on the Eastern side of Center City Philadelphia, conveniently located near I-95, Expressway Routes 76/676, and all the major Philadelphia attractions. We very much recommend a visit to our city - if you haven't been here for a while you'll be impressed by the shopping, dining and cultural resources available.